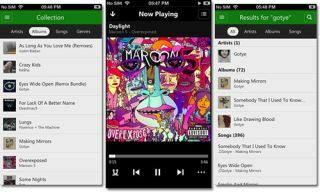 Microsoft brings its Xbox Music app to iOS and Android | What Hi-Fi? A year after its initial release, Xbox Music, Microsoft's equivalent to Spotify and Rdio is coming to iOS and Android devices. Available from today, the XboX Music app will provide users with basic access to the 30 million songs stored in its library. The ability to sync and change playlists will be available at launch but users won't be able to save their playlists, nor will there be any offline functionality, although Microsoft has said that the latter feature will be coming in the near future. The mobile and tablet versions will require an "Xbox Music Pass" ($10/£6 a month) to access the full range of content, putting it in line with the likes of Napster, Rdio and Spotify. There are two web versions of the app, one free the other supported by ads but the former will be entirely free for six months, and then revert to limited functionality thereafter. Microsoft hopes that the expansion and new updates will help increase the userbase and compete against the likes of Spotify, Google Play Music All Access and Apple's imminent iTunes Radio streaming service.